What they are: Iowa and Indiana fuss about which state owns the tenderloin sandwich, but wherever it came from, it's a thing of beauty that puts schnitzel to shame. 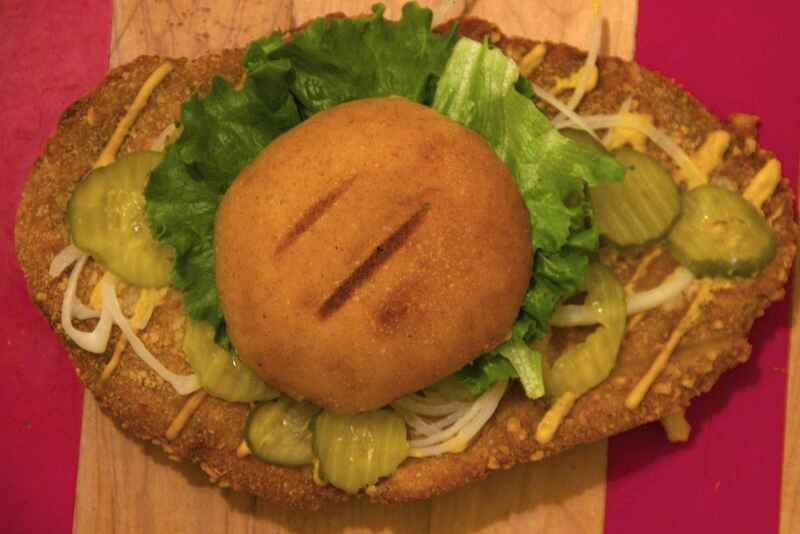 It's a gigantic hunk of pork pounded Frisbee-flat, breaded, and fried. Then this gigantic hunk of golden meat is served on a tiny hamburger bun that covers about 30% of the meat. It's usually topped with mustard, tomato, pickles, and other things that aren't pork. What they are: Hot dogs are a big deal in the Midwest, with Chicago's hogging the glory. In Michigan, though, they're treated with the utmost respect. Hell, there are even regulations in place to make sure only top-quality meat's used. And the vessel of worship is the coney, which has nothing to do with Brooklyn and everything to do with a beanless chili-topped dog with raw onions and mustard. The glorious chili tends to be more liquid-y than Detroit-style and is the consistency of taco meat for Flint-style. You can get one everywhere in the state. And you should. What they are: Cheeseburgers stuffed with cheese, which pours out like the most delicious lava imaginable. Iconic Matt's Bar claims to have invented them (and spells them "Jucy Lucys"), but they've become a signature of MSP bar-food culture, where adventurous cooks have begun stuffing them with fancier cheeses and other accoutrements like bacon and jalapeños. No matter how it's served, you'll never look at a burger the same way again. What it is: Basically ice cream, but richer because of egg yolk, which lands it somewhere between gelato and hard scoops. "Oh, come on," you say, elongating your vowels in that glorious Midwestern drawl. "You can get this stuff everywhere." And while it does make appearances occasionally throughout the country, you'd be surprised at how rare it is once you leave. There are stands on damn near every corner in Wisconsin, and even big chains like Culver's carry it. What it is: It's easy to mistake Cincinnati chili for spaghetti sauce, since it's meaty, saucy, and, well, served on spaghetti. Or on hot dogs. Or just in a bowl. 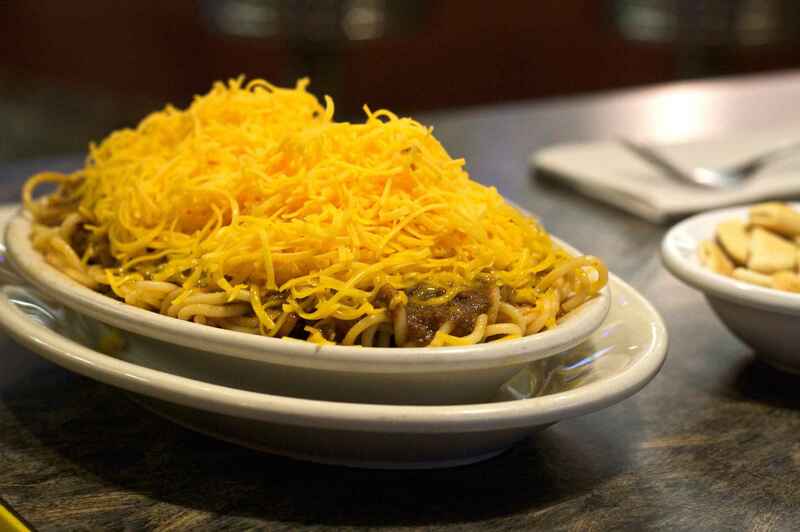 No matter what, it packs a lot of spice -- cloves and allspice figure into a lot of recipes -- and is at its best when served up five-ways: piled on spaghetti and covered in shredded cheese, onions, and beans. Skyline is the most famous, but it's everywhere, and no two recipes are the same. What it is: Some of our writers (unfairly!) dissed SoDak's food culture, but dammit, if anything they're keeping the toothpick industry afloat with chislic. Simply put, it's little meat cubes that take a swim in a deep fryer, get punched with salt/garlic/whatever, and then get skewered with toothpicks for easy eating. Be it beef, venison, or lamb, chislic is essentially kebabs without all the stupid veggies, and it's wonderful. 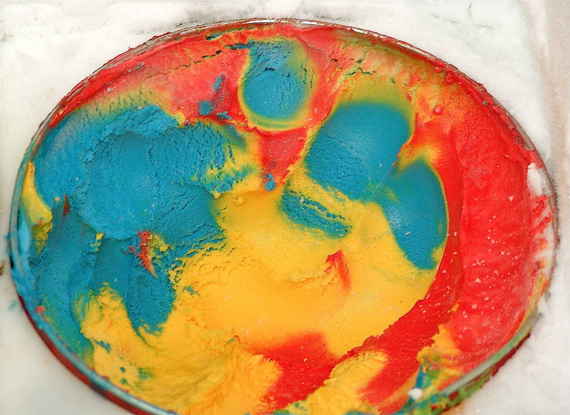 What it is: A red, yellow, and blue confection that leaves your face looking like you made out with Papa Smurf, each of Superman's colors represents a different flavor, though it can change depending on where you get it. Blue is usually Blue Moon, a nutmeg-punched vanilla flavor also native to the region. Red can be cherry or, if you're lucky, Faygo Red Pop, while yellow is typically custard. Sometimes you can find it in far-flung ice cream shops throughout the nation, where it's usually greeted with squeals of shock and delight (just ask the poor teenager who endured my 10-minute freakout at a tiny Colorado parlor). 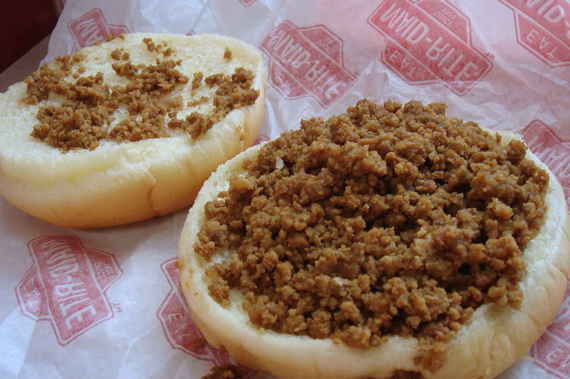 What they are: Like a less-sloppy cousin to Joe, the loose-meat sandwich is just a bunch of lightly seasoned ground beef with a bit of onion. So basically, a burger that hasn't been pattied, which means it's also delicious with any variety of condiments... or on its own. 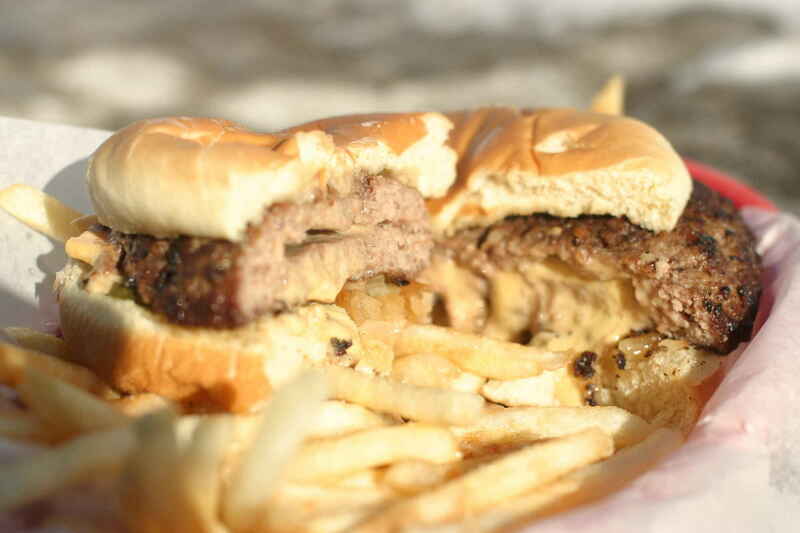 There are even chains devoted to them, including Maid-Rite in Iowa and Nu-Way in Kansas, where they call them "crumbly burgers," which sounds wonderfully cheeky. From pasties to beer cheese soup, head to Thrillist.com for 11 more foods you've definitely eaten if you grew up in the Midwest!